Sturm, Ruger and Company’s top executive said this week a lean year forced workforce reductions across the company. Chief Executive Officer Chris Killoy told investors Wednesday the gun maker’s headcount decreased by 28 percent over the 13-month period ending Jan. 31. The cutbacks include 700 positions, including all temporary work positions and 60 indirect labor positions. “As a result, Ruger is better positioned to succeed in 2018,” he added. Ruger reported annual net sales of $522.3 million last year, down 21 percent over 2016 — the biggest on record for federal background checks and by proxy, estimated gun sales. Fourth quarter sales dipped 27 percent to $118.2 million, according to regulatory filings published Wednesday. Maksim Netrebov, financial analyst and contributing writer at Seeking Alpha, said his calculations show Ruger just closed on the worst year its had since 2012 — a common trend across publicly-traded gun manufacturers. Netrebov said “no one really has a clue” how 2018 will shake out, either. 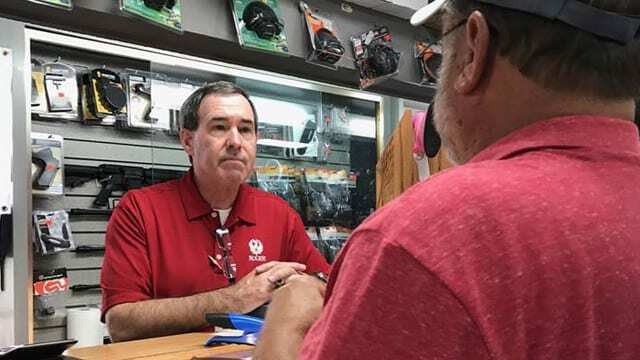 “Short of realistic gun control legislation, the demand left over from 2016 is rapidly declining, and I believe with the record high inventory numbers, 2018 will see continued pressure on prices and more sales wars,” he said. While looming gun control has historically spurred sales, it still remains unclear how last week’s shooting in Parkland, Florida and the president’s response to it — including directing a bump stock ban and calling for improved background checks — will affect the industry. Congressional lawmakers on both sides of the aisle have also suggested raising the legal age of owning a rifle to 21, despite protests from the National Rifle Association.